This item comes complete with Sterling Silver Bail & 45cm Sterling Silver Chain. 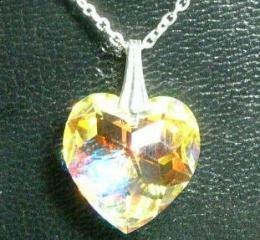 The crystal heart has the Aurora Borealis (AB) effect and the facets form the figure of a butterly. The Pendant is 18mm.